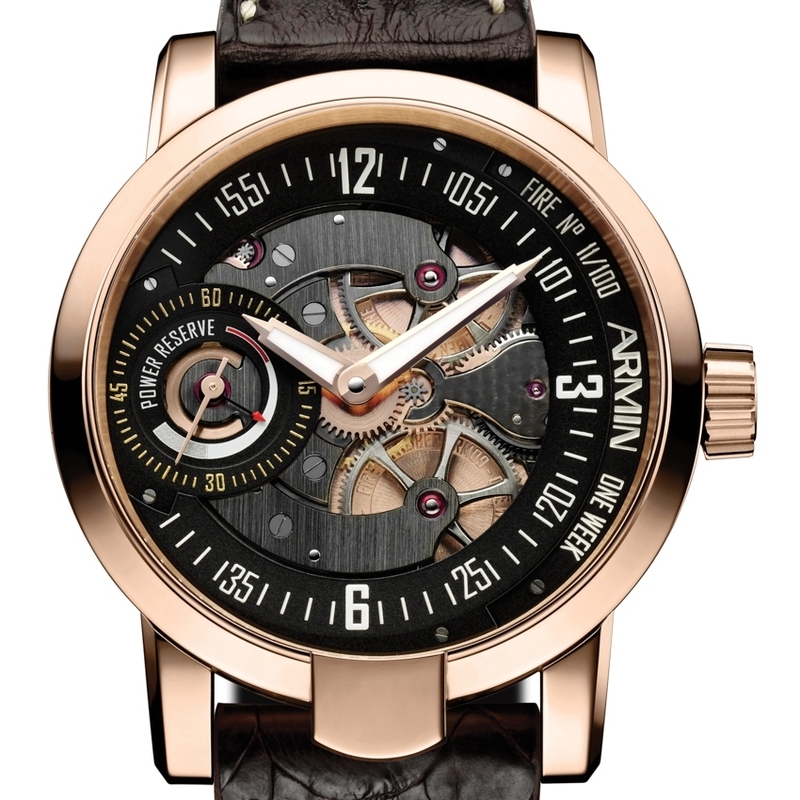 Equipped with the first hand-wound calibre entirely crafted in the Armin Strom workshops and endowed with a 7-day power reserve, the ONE WEEK Fire symbolises the brand’s technical and hand craftsmanship excellence. The partially hand-engraved, chamfered and polished movement reveals the complexity of the three-part openworked dial providing a detailed view of the gear-trains and movement components. The 18K rose gold case and hands, along with tempered brass mainplates, bridges and gear trains, set a glowing finishing touch to this resolutely innovative design decked out in fiery colours. This model is issued in 100-piece limited editions for each of the four elements, also including Air in titanium, Water in steel and Earth in black PVD-coated steel.